"Simply Works out of the box!" The best thing I like about iOS is its SIMPLICITY! Now, talking about simplicity, let's point out the most intuitive thing contributing to simplicity i.e. the User Interface. The best thing about UI, it is so simple. Apps are on the home screen. You can access Control Center and notifications directly from your screen. You just download apps you need, it pops up in the home screen and then you are ready to use it. There is no learning curve, anyone can use it right out of the box. Now, talking of Apple App Store, I am sure you are aware of the magnitude of it, the massive amount of apps it provides from different criteria. And, how beautifully the apps are designed! The apps are so compatible with all type of screen sizes, it feels as if the app is made for the device. Privacy: You shouldn't be worried about this at least! You know Apple is so tight on protecting privacy, it has even turned down cops but they will never leak any customer data to the outside world including Law. Your data is SAFE with Apple! Oh, Is your phone slow on updates? Switch to an Apple device and you will forget worrying about an update. Updates come together on all iOS devices at the same time. The process is so seamless, it puts other Operating Systems to shame. >The thing that is the strength of the entire iOS Operating System i.e. Simplicity turns out to be a disadvantage for some people. The fact that it is so simple often turns to be a hindrance for the power users who want more from their device like UI customisation, adding software features etc. >iOS is not open source and thus you can only enjoy iOS with Apple products only which tend to be on the costlier side. You if you want to enjoy iOS, you got to pay the premium for the added benefits it offers! >Previously, other OS in the competition had compelling features like multitasking, file managers and all. But, with the advent of iOS 11 multitasking as with split screen has been introduced. New Files app has also been provided. I will suggest all the users of other Operating Systems, make the switch to iOS and I promise you won't look back again. It will meet all your needs, you will get timely updates, you don't have to worry about any privacy issues, no virus attacks, doesn't slow down with time. It just works!!! Use it to believe it! Apple iOS is built for Business. People in work and business don't have time for all those high end stuffs like customisation and all. All they want is a phone that just works, without any stutter or lag, performance is snappy so that they can get things at the time and from the business and personal perspective alike, get the apps that they need for their work and the iOS AppStore has all kinds of apps one can imagine for! "Best mobile OS when running latest hardware, beware of built-in obsolescence"
Fast (when using latest hardware), remarkably stable, top of the line as far as security, intuitive, very easy to use for tech savants and beginners alike. Compatible with mostly every software and device in the apple ecosystem. Millions and millions of available apps to download or purchase. Remarkably easy to install, update, backup, restore, format. Great amount of quality of life features, great multitask performance, very good battery consumption. Spectacular and fully featured calendar, tasks, notes, reminders suite with great business integration. Planned obsolescence is scandalous, apple has been known and proven to decrease the performance of older devices on purpose causing the OS to run worse over time (once they consider the life cycle of your smartphone has ended). Consider not upgrading the OS once your iPhone is getting left behind by multiple new models as long as you are already using a stable, fully featured version. file format implementation is very poor, file types like FLAC, some types of compressed files and several others are absolutely not suported in the slightest. File transfers between devices are absolutely archaic and tedious. Compatibility with non MAC/Apple devices/files/formats/apps ranges from very poor to nonexistant. Consider file type and software needs, and the limitations when working together with non Apple software and devices. Apple iOS is exclusive but can be configured to fulfill several office needs spectacularly. From imessage and facetime solving communications needs, to full business email integration, seamless calendar syncing with your company's calendar and a very robust security system, it can become a necessary evil. "Great for users who Like their system as is." Apple iOS is great for those new to the tech world, or who are comfortable with not making extreme changes to the system's look or feel. Apple Does things a certain way, and that's ok! All tech is made for a specific user, and Apple's products are great for their target audience. Personally I like having more options. I like having the ability to try several apps in case the first one doesn't do what i need it to do. I am a power user so iOS is not right for me, however it does have it's place. Take a Hard look at what your needs are. If you are a power user and want to have more control, then Android might be a better suiting. If you are a more basic or mid range user Apple iOS is fantastic! It's Almost 100% ready to use out of box and makes getting started a breeze. It has cloud based options that can be synced across devices without having to use third party software, Which is something android can't do unless you use Google's Drive program. We use iPhones at work for troubleshooting other iOS issues with our government contract. They are easier to setup with the security stigs. "I switched from a droid to an iphone about 5 years ago, and I have NEVER looked back"
Apple makes products that stand the test of time and JUST WORK. I have never had to send in an iphone for an iOS defect and the iOS updates are fairly infrequent and easy to do and address issues well. I like the Apple iOS system and its ease of use. I enjoy being able to utilize iMessage across all of my synced Apple devices. I like the animoji feature on the iOS for iPhone X, XS, XS Max, and XR devices. The loopholes, bugs and privacy issues with the updates are something to strongly consider. I am not sure how the testing phase is going before Apple releases these updates. The latest privacy issue with iOS 12.1 is a huge concern. I wish that the app market offered more apps that were not paid apps. I spend over $50 monthly for the apps that I have downloaded on to my phone. I wish it was more like the Google Play market with free or low cost apps. Very user-friendly interface and ease of use is great as well. Being able to use my iPad, MacBook, Apple Watch and two cellphones and sync my calls and iMessages to each device is truly beneficial. "Apple iOS - great for everyone"
We can do so many things on the Apple products. We do a lot of photo editing, emailing, creating our school yearbook. It's great for students to help use and create the yearbook. We can also upload photos using the app for our yearbook class. Students and parents throughout the school can submit photos. Apples are easier to use and learn than Dells. Apple products are fabulous because they stand the test of time, however, I wish they weren't as spendy. Easier to use than other platforms. Yearbook photos and editing are the primary use for Apple. Macs are great for photo editing. We can also upload photos using an app for our class. It's great to get more photos and allow all students to submit photos. They are more likely to purchase the yearbook to see their own photos in print. Selling more yearbooks means more revenue to help pay for the class and publication. "Its intuitive, well designed and easy to use"
My wife is no computer wiz, however no training was required before she could start using iOS, its well designed and so intuitive, everything just makes sense and needs no training. We have a lot of equipment running iOS including MacBook Air, MacBook Pro, iMAC, iPAD Pro and iPhones, they are lovely devices to use and own. My children all have mac's switching from PC laptops to Air and Pro's. Nothing, a lot of people grumble about apple prices, but quality is what you get in return, a lot of other vendors do not have the controls in place that apple does and as a result the security is weak and unlike apple the non-apple devices get slower over time. Apple equipment does not slow down. For the difference in price you get so much more, the screen is larger, the design more elegant, its quieter and the reliability and performance is well worth the difference in price. It's also great than you can have serval devices, mobile phone, tablet or desktop computer all running the same operating system and when you install a software product on one of the platforms, if it is available on the ot]her platforms it is also installed and ready for use. The iMAC replaced my PC, when I purchased my PC I bought the best specification I could afford with two HD graphics cards and a high end i7, unfortunately after a few years the PC got slower and slower. I now have an iMAC i7 4Ghz and its amazing, the performance is fantastic. I use it for node.js development and its very stable. iOS is not the best in everything it does, neither are its competitors. The difference is that it's a stable, secure and privacy-oriented system. As I mentioned in the title, it just works. The fact that not every application gets to the Store means you have more confidence when choosing one. Over the time you'll get used to how it works. Updates are available for a couple of years, which is not necessarily true to Android which is depends on each hardware vendor. - One of the biggest drawbacks is the price. Outside USA the cost of purchasing is usually high as Telcos avoid contracts unless you're dealing as a company and not as a person. If using macOS already, don't hesitate. Integration is perfect and it's a system you don't have to worry about anymore. Something I found in Android using more than one cellphone was that I kept resetting it from time to time (yearly maybe) because it would start to get very slow. This does not happen on iOS and since updates are available for a couple of years, I had 2 phones: an iPhone 3G since it was released until iPhone 7 was released, when I changed again. When using an Apple laptop for work, whether developing software or working on design/marketing, having an iOS device like a phone makes all just work when you're roaming or commuting. "Latest version of Apple iPhone`s and IPad`s operation system "
It fixed the battery life of my phone, and also it got faster! I enjoy using IOS because it connects through the iCloud all me Apple device, which is very useful. Connectivity and compatibility with many other softwares I use, so I can continue my tasks on the go. I cannot make secret folders, some of my colleaugues use Samsung 8 and their Android phone gives them much more freedom, sometimes I feel limited with my iPhone. IOS op system is very easy to use and connects instantly all your devices through iCloud. However, I feel like Android is improving much rapidly and offers more features lately, but I still wouldn`t change my iPhone. I like that IOS makes it easy for me to connect all my devices that I use. Furthermore, to communicate through iMessages and FaceTime really makes my life much more practical, easier and cheaper. Very compatible with many programs I use usually on my computer, so when I am on the way I just continue editing or doing my tasks through my phone or ipad. "I Use iOS for most Everythin"
iOS keeps getting better with every iteration. I like the new Emojis and the new shortcuts. I like the new text features and the new look of some app screens. Siri is more responsive and I feel like she understands me better. As far as iOS as a whole? Much better than Android. Much more intuative and fun! Again, to be clear, there is a lot to love about iOS but like anything else, you take the good with the bad. Have you got something on your iOS dislike list that might not have been mentioned? Its better than Android. And better than Windows for most applications. Many problems baby!! Too many to list here. From logistics to personal communications. I have got it all covered with Apple and iOS! "It works great - so long as your device isn't too dated"
My iPad just works. All of the commands are simple. You can tell they thought about the end-user and tried to make an operating system that is easy to use. I don't have as many controls as I would with an Android, simply because of the design of the hardware, which puts more strain on the iOS to do the heavy lifting (i.e., back button). It depends on what you need... if you want something easy to use, iOS is great. Just like any operating system, it's not perfect. But this one is reliable and user-friendly. The only caution is with the hardware that comes with it; everything is a commodity item these days and this company has come under fire due to issues with lack of backwards compatibility. I create and send my invoices and do my day-to-day accounting with iOS. It enables me to sign documents and invoices quickly. I can stay connected no matter where I am and I have a compact, personal computer that I take everywhere. "Really seamless, plug and play use!" I think that iOS could be more specific when they have updates - about what the new features are - so many times I feel like I have all of these features at my fingertips, but I don't know what they are! It's worth the money you'd pay in multiple PC computers to get this from the get-go. I have realized many benefits and solved many business issues - all of the Apps I can utilize on my iPhone that translate to my Apple watch. I love the Messages integration for my MacBook Air/Apple Watch/iPhone so that I don't have to look at multiple devices during my meetings/work activities. Additionally, we have used the "Find my iPhone" feature to recover quite a few employees' computers who were stolen. "iOS is by far the friendliest mobile operating system out there." It's ease of use and user experience is untouched in the market. The way it's designed ensures even novice users understand how the operating system works. Lacks customization. Unable to dictate where you want your homescreen icons to be. Features could be more quickly added by the Apple development team but typically wait a long time, only to be surpassed by other mobile operating systems in the market. Apple eco system locks you in as a result of diving into Apple solutions. They have done a good job, generally, to make all the various features work together. Familiar and efficiently understand any iOS application because of the consistent design across the board. "I can't imagine a better mobile iOS." iOS isn't perfect, but it's really darn good. Like all the best things, it's at once both simple and powerful. It's simple and intuitive enough that anyone can use it, but incredibly can be nearly infinitely customized by power users. Opening up Developer Kits and integrating more Apps into features like Siri has also made iOS increasingly powerful. Sometimes the simplicity hides the features, and it's not always intuitive to figure out everything the OS can do. It's usually easy to find all of the things that iOS can do, but it sometimes takes a bit of searching. Siri is also still incredibly hit or miss, and generally less useful than I want it to be. There's no other mobile OS that even comes close. Mobile connectivity matters, and I still need to be able to do work when I'm not in front of my computer. iOS often does that in the least disruptive way possible--I can do more of what I normally do, and with less disruption. For me, the things that have always made Apple products and software appeal to me are precisely what make iOS 10 a wonderful OS. It's clean, intuitive, and fast. It easily fulfills all of my daily needs, business and otherwise, and it's reliable! There are always features that I want, and sometimes I see things roll out first for Android or other OSes, but I'm rarely in a rush. I've never found that iOS has prevented me from accomplishing exactly what I need to accomplish. I think Apple makes wonderful products, and have been using them for 30 years. I wouldn't consider myself a fanboy by any means, but I have been convinced that Apple is a wonderful company that produces wonderful products. Until I see evidence to the contrary, I'll continue to believe iOS 10 is a wonderful operating system for personal and business use! I want a clean, reliable interface with which I enjoy interacting. Knowing that I can expect my operating system to function quickly and reliably each day removes a significant worry from my daily life as a business owner! it's costly insted of android. Not easy to use it for new user. iOS also need every update with date to date. it's not easy to update with every time to update. it also need most time internet to work with it's application. it's application also paid so not everything is free for iOS. I fully recommend this to all the end client. it's fully secure to use and send money to any account. it's so manage able to make it fully depend on it's secure technology. the tecnhology is using in it so secure and user interface so beautiful. It helpful for business user to use iOS. it's fully secure and you can make any type of trasaction to any other account with any risk. it's so secure to make business deals with document sharing without any incription. "The least productive version of iOS to date"
I like the Apple ecosystem, and how I can use my App Store and iTunes items across my MacBook Pro, iPhone (with iOS 10) and iPad Pro. Also, the Apple hardware is generally to a high standard. One thing I very much like about iOS vs. Android is the guaranteed OS updates. You can have them for most any Apple device the day they come out, yet Android depends on the hardware manufacturer and the telco and you may never ever get an update for your device. I really don't like losing the headphone jack on the iPhone 7 but this is about iOS 10 and that's not an iOS 10 problem. However, in iOS 10 I am horrified by the damage Apple has done to notifications and to threaded email. Both of these are retrograde steps from iOS 9. If you have a busy Skype or Slack conversation, your notification centre will just fill with messages to the point it is unusable. The threaded email in iOS 10 is atrocious. It is counter-intuitive and it is unproductive. You don't know what message will open or which one you will reply to. It is horrendous. You need to go into Settings and turn on "most recent message at top" - not even sure why this is not the default, or even an option at all - and you may want to adjust other settings there. Apple has broken threaded email in iOS 10 and I am so disappointed. Why are you looking at an Apple product? This is an important question. If you are simply looking for a mobile device that supports email and web then maybe Android is a viable option. However, if you are seeking to run a specific app, leverage user experience, use a particular MDM, looking for a certain hardware build quality, or maybe even guarantee OS updates then iOS / Apple is likely right for you. However, I don't think people should just equate "tablets" with "iPads" and "smartphones" with "iPhones". iOS 10 powers company mobile phones. We didn't really choose iOS 10 in itself, but it comes with the handset and we selected Apple largely based on the familiarity of our users to this OS as well as its consistency and simplicity (vs. many disparate Android versions for example). "Never had an Apple iPhone before, but the interface is very neat and easy to use." Even though my personal cell phone is not an Apple iPhone, I am able to use this new iPhone my company gave me and learn its features very easily. I heard that storage space tends to be an issue, so I have not downloaded new applications yet since I get a lot of emails and have a lot of pictures. If you would like a phone that is easy to learn how to use (cannot customize layout), and can allow you to share thoughts and items easily (FaceTime and iMessage) than the Apple iOS iPhone for employees is the best option. It will help keep employees in touch and will allow you to stop them from using it in a way that will deter away from company needs (ie. customizing it for personal needs). FaceTime is very easy to use and can be used anywhere in order to do meetings and show others various things. "Clean looking and fast, but major battery drain"
I really like that I've finally been able to get rid of the apps that I've never used, but come in the OS. Beyond that, iOS 10 is very fast, very easy to navigate and has integrated with everything I do at work very well. The sheer speed at which my battery drains. My experience has been that iOS works better with handing off project between apps in iOS and Mac OS and with cloud-based software, like the Google Suite of products. There are days where I do almost half of my daily work communication, tasks/task management, etc. from my phone while on the move. I've not had near the experience with Android that I have with iOS. Support through Apple for it has vastly improved over the years, and iOS is increasing in compatibility with other software. This has solved my problem of being mobile and needing to move between campuses, without being tied to my desk phone. It's also made it possible to work on projects I've started on other devices without having my computer around, which is a huge benefit. I own an iPhone and an iPad, and iOs syncs my devices and keeps these devices operating. The operating system is pretty user-friendly, as many people nowadays have an Apple product. There are a TON of updates! I almost can't keep up. I wish the software engineers could wait and group updates monthly or less often. I understand that technology is always changing and evolving, but it would be great to get updates less often. Apple iOS can be tricky to use at first, however after continued use, the user can get accustomed to the ins and outs of the operating system. 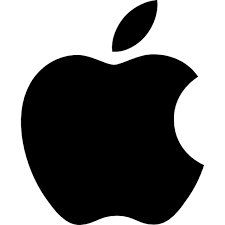 It took me a couple of years to be adept, however with as many Apple users as there are in business and in the world, I feel it's a good idea to become acquainted with this product. Linking up to my work email and server via my iPad is very convenient, especially remotely. I really feel I am connected to my job when I have access such as this. I love the simplicity of Apple iOS. I currently use an iPhone, iPad, iMac, and a MacBook Pro and everything syncs up seamlessly! There isn't much I dislike about the software. However, if I had to choose something, I would say that the updates take forever and can sometimes brick your phone. I have a huge client base that I have to communicate with on a daily basis as I am a technology specialist. I have realized that no matter what device I use, it makes it so much easier to stay connected as all my emails, messages, phone calls, and notifications go to all devices. Also, the layout of the software makes it super fast to find the things I need to stay connected with them. Also with the help of Siri, I can use the software hands-free which is a huge benefit for multitasking or for when I am driving. "Works well with current devices, but very buggy with previous gens"
The iOS is very buggy with my iPhone 6+. The iOS is simply just optimized for the iPhone 7, and any bugs for previous models are not fixed effectively with each new release. My iPhone 6 has issues with randomly shutting off. I also have had issues with using the Message app. The landscape orientation doesn't keep the keyboard up, it switches to a feature in which you can draw a message. This makes it difficult to keep typing, and is extremely annoying since I previously used the landscape orientation while typing. If you don't want to keep paying for device upgrades, many of the older devices simply get phased out and updates only address issues with the current generation. The iMessage is great for working with other iOS users, the instant messaging helps with not skipping a beat. I can begin an email then pick it up when I get back to my laptop. The AirDrop feature allows for easily sharing files, as well. "The only operating system I use"
iOS is the most user friendly, readily accessible and easiest mobile operating system to personalize for consumer and business use. I love being able to make folders and choose how I can access what I need when I want it. The only I thing I dislike is the bug issues that may come with new updates but there isn’t a software that doesn’t have bugs. Payment systems and business apps ar a huge benefit to my business. It’s basically like having a personal assistant available in the palm of your hand. Synchronizing your devices is extremely convenient, I use my MacBook more often than any PC laptop that I have had before due to that particular feature. You can receive texts, calls, synch your pictures etc. New update brought a useful feature that I really enjoy - the option to quickly answer the text while you are using another app or even on a locked screen. I do not quite like the iCloud subscription feature as I do not get the point of having more memory on your phone if you still have to buy additional iCloud storage. I was under the impression that since you invest in a more expensive version of an iPhone or MacBook with more GB memory, you would not need to buy even more storage. Even though that you do not have to purchase additional storage, both your phone and laptop will constantly remind you that you do not have enough iCloud storage. It is definitely much more simpler than any other system that I have used before. There are some setbacks, however, the convenient way of accessing any information on any device is definitely worth it. It provides a great way for your employees or colleagues to access the needed information on any device. Organizing your schedule and synchronizing it to your other devices as well as sharing this information with other users is quite beneficial as it allows me and my coworkers to coordinate our schedules. "Apple iOS AI is the human interface"
What I like best about iOS is the relatively recent inclusion of AI using SIRI. The development of SIRI has made hands free usage not only manageable but also a necessity as mobile devices become indispensable not only for communication but also for navigation. Although SIRI has made great strides in bridging the gap between computer to human interface, the pronunciation of most Spanish words found in cities and streets in California needs improvement. SIRI sounds like an out of state newcomer. Joining the Apple Ecosystem garners greater advantages than when staying outside of the ecosystem. My most beneficial problem that it solves now is improving my navigation, quickly and accurately. "Smooth and stable. Great Phone OS"
The main winning point of iOS is the sandboxing. Some view it as a weakness I like to look at it as a strength. Sure sometimes you cant have some fucntionality that an android phone may have an app to do, and sure sometimes theres things that make it tempting to jailbreak - but the reality is stability is worth more than those things. Having a phone that runs smooth and doesnt crash constantly is the main selling point for me. Notification center. I hate apple's notification center. It never comes up when you swipe up for it. its the worst. Do it. If you are coming from an android phone (or somehow a blackberry...its 2017 for goodness sake) just do it. the stability alone and the fact that you will be engaged with the most active and best app store in mobile make the switch more than worth it. About 100 different things by proxy. iOS allows me to have countless apps used for business use. Seamless access to my enterprise accounts. Seamless handoff of skype for business. its all there as a method to continue to engage clients. For the iPhone's I support they just work. May not have all the options of android but the hardware and software work well together since they were written for each other the phones and iPads just work with not many issues. The newest update seems to have make some changes in how it operates that have not been received well by my users including me. I'm sure they will get the bugs out or as we upgrade that problems will go away be default. If you need a corporate device that does what is says it will do then this is it. Also good for less technical users. We use them for our Sales and Managers. They use their iPhone and iPads for work accessing company information. They are their portable windows into our system when on the road. I've used an iphone for years, and I love how easy it is to customize phone settings and how easily (most) apps integrate into the iOS. I always really like that it's easy to backup settings and restore them on a device, so whenever I upgrade phones, I just hop from one to the other with very little disruption. Learning the OS was very quick and easy - most things are very intuitive. Whenever I was unsure of something, it was usually pretty easy to google and find apple forums where people had already answered the question. I like the variety of apps available on the app store, and a lot of my company's tools are made for iOS first (or have a bigger app team). I don't really dislike anything about iOS for my company phone. Perhaps hardware/storage, but that is not an OS issue. Maybe sometimes the Microsoft and Google integrations aren't as smooth as I'd wish. It takes place of having to forward alerts to my personal phone. Now we are able to share a phone for on-call duties and hotspot directly from wherever we are. "iOS cannot even be compared to any of its PC counterpart systems"
I do not like how many updates do occur and at times have had issues with having to re-download updates. You will not disapprove of this company, the ease of the products, the efficiency you will see in your employees. It is worth it! We use it across the board on all company computers and most tablets. "Fantastic operating system for fantastic products"
The capabilities of the operating system is amazing. Along with an easy interface, there are so many programs that are available for iOS, some of which are very exclusive to just Apple products. Apple iOS is truly on the forefront. I dislike how difficult it is to search the entire computer for a program or file. Windows makes it very easy to find all files, but Apple has many hidden. I also dislike how difficult it is to open a file from an Apple on a non-apple device. Ditch windows and just get comfortable with Apple iOS. You'll get over the differences and be really happy once you made the switch. I'm solving every day usage problems. Benefits have been a virtually virus immune OS, the most up to date technology, and an ever growing and improving OS. "It's Apple... It's nearly flawless, almost. " Navigating any Apple product is a seamless process. It is irresistible even thought it is so expensive. iOS updates are catered to the newer devices and are sometimes impossible to install successfully on older models. This forces the buyer to upgrade their device--and also needing to upgrade every charging cable, etc. that changes. Be careful about what you're getting in to. It's impossible to stop using iOS and Apple products since they are so easy to use. But they are pricey! Working with Apple and iOS has been a critical piece of organization for me and my colleagues. "Apple brings it all to one platform "
The iOS makes it easy to use wether you are a beginner or you know your stuff. It integrates in among a few products so that you can start on one and finish on another. You can export to other platforms easily so it works well with other per say. It's locked down and applications that would be free ok most platforms are not free on this. You have to get approval for everything. But I guess that's why they have a higher success rate in apps and programs. Keeping employees connected. Seeing who read things or being able to control a simple group text is so much better. On screen notifications allow you to stay on top of things. Also reminders that are location based is amazing. "The Best Mobile Operating System"
The system is intuitive, most of the functions you'd want are clearly integrated, the interface is clean and the system is very responsive. I would be very unlikely to switch because of iOS's unsurpassed integration with the rest of Apple's ecosystem -- when you use iOS, macOS, watchOS and tvOS together, you get a system that, to use the oft applied phrase, "just works" and comes as close as anyone has achieved to having information flow frictionlessly from device to device. iOS 10 looks like it will further improve this. The lack of a normal file system continues to feel like a hindrance and the system's aggressive ending of background tests sometimes gets in the way of accessories like a fitness tracker (e.g. Fitbit or Jawbone) or driving tracker (Automatic). It would also be nice if iOS devices were finally true peers to desktops, rather than still pairing to one particular PC or Mac. iOS continues to be better sorted and more tightly secured than Android. I appreciate iOS's end-to-end encryption and Apple's commitment to a tight ecosystem between iOS and macOS. I use iOS for all of my mobile communications, even things like light usage of Microsoft Office. iMessage also helps as a fast, secure and free way to communicate rapidly with colleagues. "The most elegant mobile operating system available!" iOS 10 allows the user to unlock the full power of an iPhone and/or iPad. It has a beautiful interface that is crisp, with lovely colors and design. There are so many native features that make iOS 10 desirable. In addition to the native apps, Apple gives application developers access to iOS 10 features to help streamline the design process. iOS can become slow if too many apps are open. Turn on automatic updates on your iPhone and/iPad. Collaboration among research group members via conference calls, FaceTime, etc. I am completely dedicated to Apple. The iOS, in every incarnation, simply looks better, works better, and is more fun than the competition. I love it visually, and I am constantly surprised at how they make things more intuitive and user-friendly with each release. The only thing I really dislike about Apple iOS is price. You definitely pay more for the quality. If you can stomach the price tag, I absolutely 100% recommend going with Apple iOS whenever you have the option. It's just a better product. "Smooth operating system- very easy to use"
Very intuitive. Doesn't crash. Feature rich and highly secure. The closing of App and Screens are really easy - just swipe up. Battery usage is minimal and the device runs longer with a single charging. Wi-Fi capturing in a public place is excellent. During video call or excessive internet usage (like watching movies), the devices heats up and becomes difficult to be held with your hand. Multiple screens is still not there. Muti-tasking still not up the mark. Excellent OS. Runs equally smoothly on iPhones and iPADs. Most of the business these days are having their applications bulit on IOS. You will get more apps in the market place which are IOS based. New Applications based on IOS to run business better and faster. The IOS applications are easy to maintain and doesn't crash that often. The IOS devices like iPADs, iphones are really excellent and state of the art. The ease of use. This product can be used by anyone regardless of technical ability. The interface is very user friendly! Lots of apps to download and use on your device. If you have multiple devices using Ios they will "talk" to each other and you can use apps on all devices (iPad, iPhone, apple computer, etc.). When using Apple and Android, it is difficult to switch between because the user interfaces are not similar. You can not customize the user interface in iOS. Apps are not compatible between Android and iOS. Its very easy to use if you have apple products. If you have multiple platforms it is not easy to use. Ease of use for all employees. App is compatible with apple products. What i dislike about the apple iOS is that when you first set up your phone, they enable a lot of stuff without asking the user! I do not like how sneaky they are about things like this. Communication. You are able to communicate with everyone from any place. I love that iOS is so clean and easy to use. Intuitive would be a great word to describe the functionality as one with no experience would be able to navigate it without issue. I appreciate the handoff and interoperability between iOS and macOS. I do wish there was some room for more customization of the UI. But overall, the product works for what I need it for! If you'd like an operating system that works right out of the box, has a plethora of functionality and apps, this is the mobile OS to go with. I rely heavily on the notifications and accessibility that iOS gives. With a huge app store, there truly is an app for that. As a network/systems administrator, it's imperative that I have visibility into my network to confirm that services are up and functional at all times. And if they aren't, I need to be notified that they are down and be able to troubleshoot and fix. iOS gives that ability while running on a small form factor. Very mobile. I have noticed some bugs going on with different apps. Some can cause issues with the power management on the device. I know there is a repair program for the 6S. But with people who install multiple apps or use a lot of social apps. Over time the battery life can decrease drastically even without the use of the battery being extensive. It requires an erase and reinstall. If you restore from the backup it will move the power management issue back over. The more apple products you use the easier it is to implement and the better results you will see. I have seen MDM solutions with this device. On the go "mobile" solutions as well. That may be quite obvious since it is a mobile platform. Anywhere from email, to security. "Apple iOS is the perfect OS for your smartphone"
Fast compared to all the other competitors in the market. Efficient battery and RAM management. No need for killing all the background apps as the OS efficiently manages it for you. No ability to lock apps. e.g Photos app should have a separate lock or a security layer. No customizations. Notifications in notifications bar should be grouped based on the app. Best OS for the smartphone. No clutter. Efficient RAM and battery management. Siri is great. 3D touch offers options to interact with the app without even opening the app. Plus the OS updates support most of the older devices. "Apple iOS operating system across MacBook Pro, iPhone, and iPad"
The tech of Apple iOS and Apple products is superior to Microsoft and other operating systems in my opinion. All Apple products seamlessly integrate with one another, which is a feature I use quite often. I have my iMessage, iBooks, internet account passwords, Music, etc. linked across all my devices, and it makes things a lot easier. The quality and dependability of all of these features is also superior to other operating systems. I do not like that Apple products, especially phones and tablets, slow down when you upgrade them. I take very good care of my products and am only interested in upgrading to a new phone if a newer version offers benefits that are important to me. I do not want to be forced to upgrade because of an update making my phone not work. In this same vein, I do not like that I can't use certain apps with certain updates. If my phone gets "too old," I have to buy a new one to be able to use all available apps. There should at least be an option to update apps to the newest version that is compatible with your device. If you use any Apple products, I definitely recommend Apple iOS because the integration and tech across all platforms is superior to Windows and other operating systems. I use a MacBook for all of my day to day office tasks i.e. emailing, coding, keeping track of a calendar. Because all of my devices sync with each other and they never crash or get viruses, it makes my day to day tasks a lot easier to perform. "Avid user of Apple iOS for business, creative and personal use"
I love the design first. I like the ease of use and the variety of apps. I can go from reviewing client materials, to sending my creative team something really random, and at the end of the work day, listening to meditations on the commute home. I dislike the amount of data programs offered by my wireless service provider. And the price of the phone. I understand that I could have made a better choice in maximum data but I've been with the same company for so long and there were no loyalty offers available. The major business problem is the creative turnover rate. I am able to ease the minds of small business owners who need at least one problem to think about. I realize the benefit of tracking my influence. The easy adaptability of use even with new users. Accessibility and simple UI makes it easy for even new users to use. It is useful to have a standard UI especially when you need to guide people over the phone how to use it. As an IT professional, the universality of iOS between each generational device is beneficial compared to Android devices which typically have different interfaces but this is by nature as android is deployed by multiple manufacturers vs iOS which is ran solely by Apple. Not very impressed with Apple. The graphics are great, and it's relatively straightforward to use. I grew up with windows, and converting to Apple has been difficult for me. I don't like having to use the command button instead of control, and the organization of everything is super confusing. It is easy that all of my colleagues also use Apple. It works well with our analysis software, especially because it uses a lot of memory. IOS is a great platform. I like it better than Windows. It simple to navigate. I can very easily delete and recover apps, update my system and since everything is so centrally located I can always adjust any setting needed. Depending on the age of device the updates commence at a certain point. So, uploading videos on YouTube can be challenging. On my IPad I can have various apps to create designs, communicate with clients and check email. I don't have to worry about just using my Android because iOS has everything in one place for convenience. So, instead I can grab files or read books easily pertaining to health whenever I want or need. "Mildly Annoying but Simple Interface"
It is simple and quick and functions well enough. Siri is a JOKE. I wish I could use this feature for more than opening apps or setting alarms. There is stark annoyance with the fact that Bing is the default search engine and Safari is the default browser. Apple needs to realize that its users are not all over the moon about every single Apple owned and operated product. It's clean and simple. There are always improvements in battery life and glitching that could improve the OS as a whole. I am able to complete many things on the go using this OS and have continued to be impressed by the way it has evolved. There are aspects of the OS that need work or I am not using and wish I could hide. Functionality is key and this OS operates well on newer devices. I have found that older devices are sluggish the further back you go. I use this for communication with clients primarily, it is excellent to have access to many platforms at once for this purpose. Apple iOS is straightforward and easy to use. When you don't need to spend a lot of time teaching someone how to use an operating system, you can focus on more important training needs. Apple is always on top of releasing updates to fix bugs and advance efficiency. Apple releases quality software updates that are free for all users, unlike Windows. Apple also has fantastic customer service that is always willing to go above and beyond. Unfortunately, there are many more programs that are compatible with Windows than Apple. A company may be limited to programs they are able to use. When sending files from an Apple sender to a Windows receiver, one may run into issues. For example, exporting a Pages document from Apple as a Word document may cause issues with formatting and look unpleasant and unprofessional for those attempting to open the document on a Windows computer. There are ways to combat this, however, it can be tricky at times. Apple is high quality, extremely straightforward and easy to use. Support is fantastic and you will not run into as many problems as a Windows user. I know this from experience. Not everyone is going to be technologically savvy, and it's best to opt for systems and programs that are easy to use. * We monitor all Apple iOS reviews to prevent fraudulent reviews and keep review quality high. We do not post reviews by company employees or direct competitors. Validated reviews require the user to submit a screenshot of the product containing their user ID, in order to verify a user is an actual user of the product. Hi there! Are you looking to implement a solution like iOS?